Falling temperatures in winter may cause an unhealthy rise in high blood pressure in elderly people, according to a new study linking cooler temperatures with higher blood pressure . Seasonal variations in blood pressure have been noted for years, but few studies have looked at these temperature-related effects in one of the most at-risk populations: the elderly. Now a large study from France has shown that blood pressure in elderly people varies significantly with the seasons, with rates of high blood pressure readings rising from 23.8% in summer to 33.4% in winter. Blood pressure increases were seen in both the systolic (top) and diastolic (bottom) numbers. "Elderly persons may be particularly susceptible to temperature-related variations in blood pressure," researcher Annick Alperovitch, MD, of the Institut National de la Sante et de la Recherche Medicale, in Paris, and colleagues write in the Archives of Internal Medicine. "Mechanisms that could explain the association between blood pressure and temperature remain undetermined." Researchers say possible explanations of the cold weather effect include activation of the sympathetic nervous system (which helps control how the body responds to stress) and release of the hormone catecholamine, which may increase blood pressure by speeding the heart rate and decreasing the responsiveness of blood vessels. In the study, researchers analyzed seasonal variation in blood pressure among 8,801 adults over the age of 65 in France over two years. The results showed both systolic and diastolic blood pressures varied with the weather. Overall, the average systolic blood pressure was 5 points higher in winter than in summer. 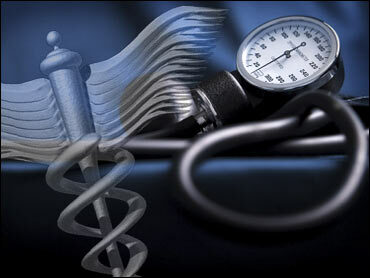 But researchers say the temperature-related effects on high blood pressure were greatest among those 80 and older. "Although our study does not demonstrate a causal link between blood pressure and external temperature, the observed relationship nevertheless has potentially important consequences for blood pressure management in the elderly," the authors write. Researchers say the findings may help may explain the well-known seasonal variations in illness and death from stroke, blood vessel rupture, or aneurysm. "Because the risk of stroke or aneurysmal rupture is highest in the elderly, improved protection against these diseases by close monitoring of blood pressure and antihypertensive medication when outdoor temperature is very low could be considered," they write.